Having an internet presence is one way to publicize yourself and generate interest. Erasing said web presence is an interesting twist on how to use that power. If you are big enough doing something like that would generate a huge uptick in interest, wouldn’t it? A great way to get people interested. Radiohead have pulled off some real genius marketing coups in the past – one of the first big bands to do a pay what you want model, secret cd inserts buried under the tray, releasing solo albums on download torrents … they have turned what on the surface seem to be acts designed to set them apart from the record industry into real selling points; real interest generating acts. The accounts themselves aren’t deleted though, are they? There is just a blankness – a tabula rasa for something new to be written there. 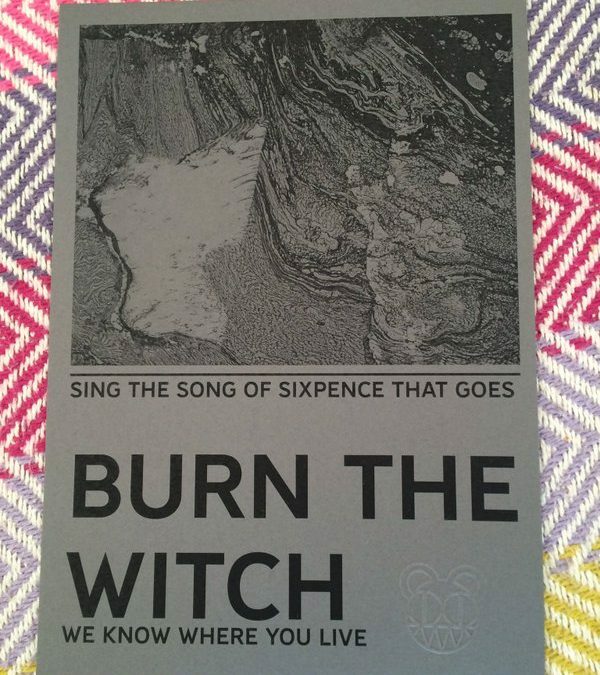 We know they’ve been in the studio, and people just received a piece of paper saying Burn The Witch … so this is leading to something. There has to be something really attractive about cleaning house, and starting anew. It’s not like people suddenly forget who you are, and somewhere on the internet everything ever posted is preserved, but suggesting a disconnect between your past online identity and the various iterations of it, opens up a whole host of possibilities. They have dropped breadcrumbs for the super-observant to follow – a new company Dawn Chorus LLP has been set up, and this follows a pattern set by the two previous albums, and of course the flyer, and then this erasure of online presence. Radiohead don’t behave like a stadium rock-band, and their experimental approach is going to stand them in good stead if they ever become less big – they have carved themselves out a niche where they get free reign on their experimentalism, which has to be an ideal set up Yorke and co.
Rebels breaking from the corporate hegemony or more in the vein of smart guys with something to say and a great marketing strategy? Do the two need to be mutually exclusive. Radiohead and their success suggest the whole thing works really great, but you may have to be as big as Radiohead to pull it off.